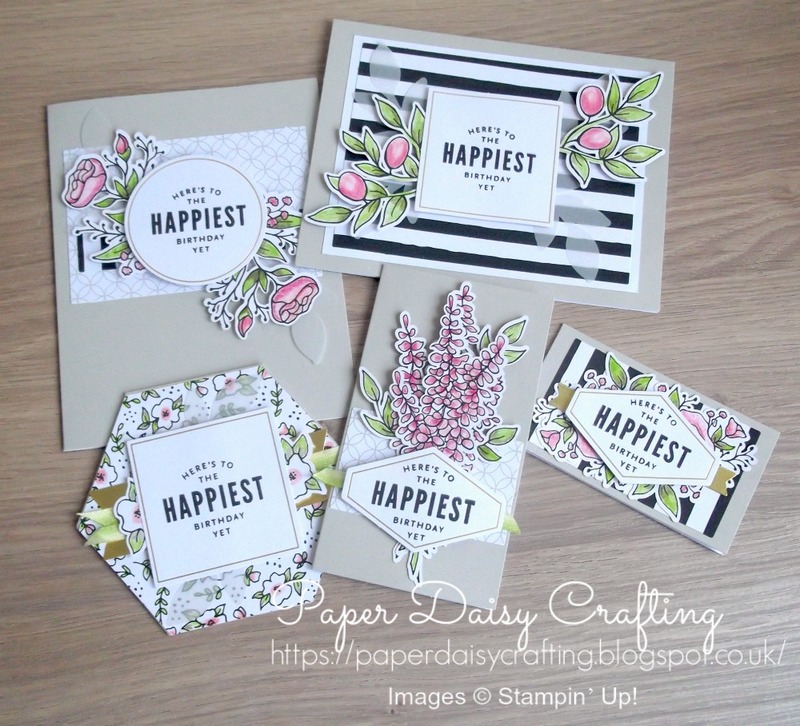 Back for Day 3 of my series of 5 video tutorials showing you how to make the card designs from the Lots of Happy card kit. Today we are making the little hexagon shaped card in the bottom left of the photo above. Don't forget that you could get this kit, plus nearly another £190 worth of product for only £99 (free shipping) if you buy the "Starter Kit" during Sale-a-bration (until March 31st). You can read all about this offer HERE or get in touch and I'd be happy to chat to you - absolutely no pressure! Back tomorrow with card 4!